MOVIE TRAILER REVIEW – What Happened, Miss Simone. One of my all time favorite singers is getting a new treatment and I can’t wait. Nina Simone is one the fieriest singers of all time. From Four Women to Mississippi Goddamn, the passion and pain can me heard in her voice and seen in every performance. Netflix is presenting a new documentary on this legendary singer. This entry was posted in Movies, Preview and tagged Documentary, High Priestess of Soul, Netflix, Nina Simone, What Happened Miss Simone. Bookmark the permalink. Chappie reminds me of the long lost grandson of Short Circuit. I’m guessing that the voice of Chappie (Sharlto Copley) is supposed to convey a short of childlike innocence but it’s really kind of annoying. This looks like a rental to me. This entry was posted in Movies and tagged Chappie, Dev Patel, Hugh Jackman, Neil Blomkamp, Sharlto Copley, Sigourney Weaver. Bookmark the permalink. I can’t wait to see this movie. It just looks all around great. I haven’t heard of the comic series but you can resist a boy and his robot? This entry was posted in Movies and tagged Alan Tudyk, Baymax, Big Hero 6, Don Hall Chris Williams, Jaime Chung, Marvel, Maya Rudolph. Bookmark the permalink. I missed Trance when it was first release in the theaters. But my go to guest blogger submitted a review when it was originally released. I had some time on my hands this weekend and that I would finally give it ago. It has a great pedigree written by Joe Ahearne and John Hodge and directed by Danny Boyle, but it is a mess. Starring James McAvoy, Rosario Dawson and Vincent Cassel as a art auctioneer, a hypnotherapist and a criminal mastermind respectively, Trance is too smart for its own good. James McAvoy stars as Simon an art house employee who recently goes through extensive training on how to protect artwork. During an auction of famous paintings, a group of criminals lead by mastermind Franck (Vincent Cassel) decides to steal one. During the course of the robbery Simon suffers a brain injure and as a result experiences amnesia. We soon learn that Simon is in on the robbery and Franck is determined to get his painting. The criminal crew enlists the help of an hypnotherapist Elizabeth Lamb (Rosario Dawson) in order to recover the lost painting. There are too many twist and turns in this movie. The viewer is never sure of anyone’s motives and honestly I didn’t care. The filmmakers wanted it to be like other highbrow fare but it in reality it is a nonsensical mess. I had to rewind it a few times in order to catch a line of dialogue or a hint of plot that went sailing over my head. It’s available everywhere: Streaming, On Demand and DVD but I recommend just skipping it all together. This entry was posted in Movies, Reviews and tagged Danny Boyle, James McAvoy, Rosario Dawson, Vincent Cassel. Bookmark the permalink. Quick Movie Review – Soulmate and A Girl Walks Home Alone at Night. There are hundreds of great movies released every year that the average person hasn’t heard of. A great way to check out small independent movies is to attend local film festivals. So far this year, I have attended two great local festivals: Etheria Film Night and Sundance Next. Etheria Film Night screened the haunting Soulmate by Axelle Carolyn. Soulmate hearkens back to classic Gothic romance films such as Rebecca, The Others and Jane Eyre. Anna Walton is an ethereal presence as Audrey a young woman who is struggling to deal with the recent death of her husband. She retreats to the Welsh countryside to begin again. To say more than that would give away to much of the plot. Because of the beautiful cinematography, the country home in Wales becomes a side character itself. Tom Wisdom, Tanya Myers and Nick Brimble round out the cast of this lovely film. The film doesn’t have U.S. distribution yet but it has been released in the United Kingdom. Keep an eye out at your local film festivals for your chance to catch this lush movie. The last night of Sundance Next, I caught the amazing A Girl Walks Home Alone at Night. This utterly original film was written and directed by Ana Lily Amirpour. This is no ordinary vampire film; it’s an Iranian vampire love story set in the Iranian town of Bad City. We meet a group of seemingly unrelated people who appear to be drifting through life. The city has become a hunting ground for vampire but the citizens are unaware of that fact. The style is almost Neo-Noir but with original elements sprinkled in. A Girl… domestic distribution so hopefully it will be in a theater near you soon. This entry was posted in Movies, Reviews and tagged Ana Lily Amirpour, Anna Walton, Arash Marandi, Axelle Carolyn, Etheria Film Night, Marshall Manesh, Mozhan Marno, Nick Brimble, Shelia Vand, Soulmate, Sundance Next, Tanya Myers, Tom Wisdom. Bookmark the permalink. I am on the fence about Interstellar. I am a huge fan of Christopher and Jonathan Nolan but as I look at the trailer, something about the film just appears off to me. Based on the trailer and what I’ve heard about the film, it appears to be set in the near future. When I look at the cast on IMDB, all of the top billed people are of European descent. Films that lack diversity are out of step with today’s aesthetics. And no matter what the pedigree of the filmmakers, this type of casting is extremely boring. The thought of having to spend two plus hours with two of today’s blandest stars: Anne Hathaway and Matthew McConaughey is not an enticing prospect. This entry was posted in Movies, Reviews and tagged Anne Hathaway, Casey Affleck, Jessica Chastain, Matthew McCoanughey, Sci Fi Movies, Science Fiction, West Bentley. Bookmark the permalink. This trailer reminds me of the classic sci fi movies aimed at kids in the 80s. I hope that it is beloved by this generation as Flight of the Navigator, Explorers and Space Camp were to my generation. Those films spurred my imagination and made me long to travel the stars. Who knows, I may find myself checking it out in the theaters. This entry was posted in Movies, Reviews and tagged Astro, Earth to Echo, Explorers, Flight of the Navigator, Sci Fi Movies, Theo Halm. Bookmark the permalink. 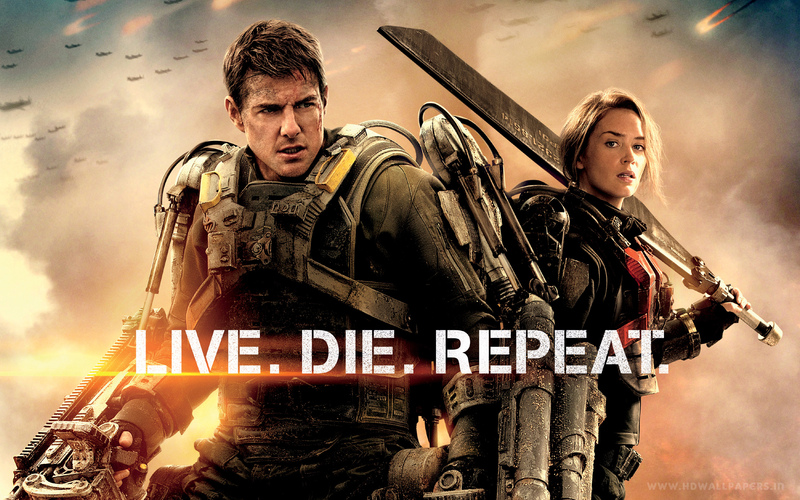 Edge of Tomorrow, based upon the Japaneze light novel All You Need is Kill by Hiroski Sakurazaka, is a big improvement compared to Tom Cruise’s last two sci-fi flops, Oblivion (2013) and War of the Worlds (2005). In this film Cruise plays military officer William Cage, who is extremely opposed to dying in combat after an alien invasion devastates Europe. With a weapon designed to wrap around the soldiers’ bodies like armor, a sergeant played by Emily Blunt (Looper, Your Sister’s Sister) brings the world’s armies new hope. A chance encounter between the two on the battlefield creates a chain of events that sends this movie into a Groundhog Day-esque tailspin. Once you get your noodles straight you will discover that Edge of Tomorrow is funny and creative just as much as it is violent and action-packed. This entry was posted in Movies, Reviews and tagged All You Need is Kill, Bill Paxton, Doug Limon, Edge of Tomorrow, Emily Blunt, Hiroshi Sakurazaka, Noah Taylor, tom cruise. Bookmark the permalink. X-men is not my favorite franchise. There is something about this series that just doesn’t click for me. 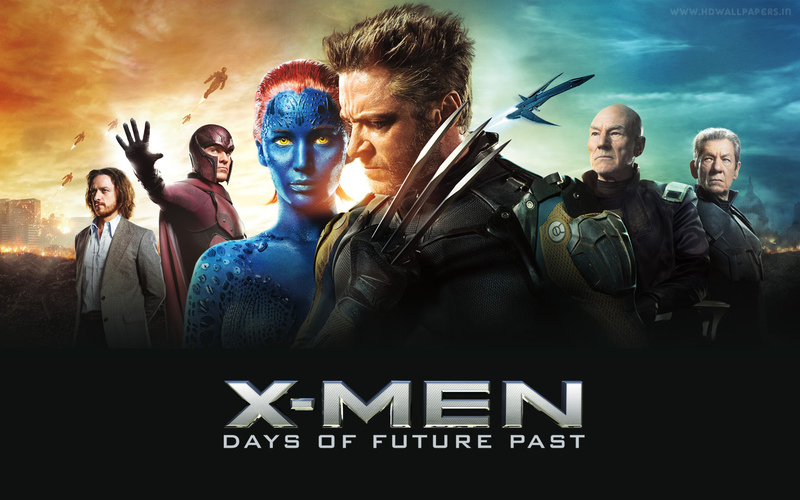 Next up in the series is Days of Future Past which focused a lot on Mystique/Raven (Jennifer Lawrence), but this movie is really about Professor Charles Xavier (Patrick Stewart & James McAvoy). The story starts off with a dark world at war. An army of high tech killing machines have been unleashed on the public to eliminate all mutants and their human allies. An unintended consequence is that the same assassins designed to sense mutant DNA to identify their targets also develop an ability to target every normal human with the potential of giving birth to a child with mutated genes that can be passed down. With the mutants facing extinct at the hands of the Sentinels, our core X-men group decided to send back one of their own to prevent the Sentinels from ever being created. If the audience doesn’t get a brain cramp from sorting out how the future influences the past, how the past influenced the present and how changing events in history affects both time periods, Days of Future Past has enough action to be entertaining. The strongest asset of Days of Future Past is its appealing cast: Hugh Jackman, Patrick Stewart, Ian McKellen, Michael Fassbender, James McAvoy and Peter Dinklange really a lot of star power to this middling tale. The X-men franchise has a serious continuity problem and this movie does its best to client it up but it’s not a must see.